(Gross vehicle mass) GVM range: 750kg to 3.5ton. 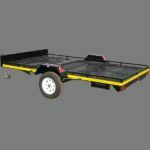 This range was developed for the individual or company who needs a strong and durable trailer to work under demanding conditions. 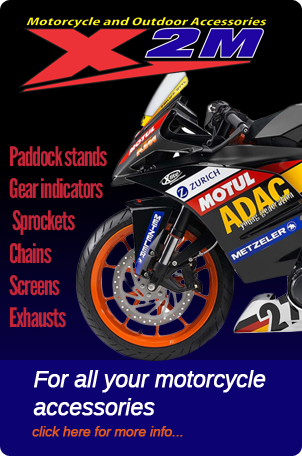 All models in this range comes standard with a 2.0mm thick lipped channel or a 2.0mm plate floor, LED lights for greater visibility as well as a minimum of a 48mm jockey wheel, a 21 day permit, Microdots and Natis documents. 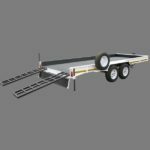 Furthermore, all trailers comes standard with a 300mm high solid side and double axle and chassis trailers in this range come standard with a 76mm x 38mm x 5mm thick open channel chassis. 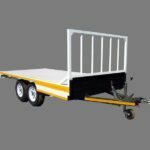 All the trailers are also available in four standard colours: white, brown, black and green. All 3.5ton models as well as all the cattle trailers are fitted with 50mm x 8mm x 915mm long, heavy duty leaf springs and 2 x 2.5ton braked axles. 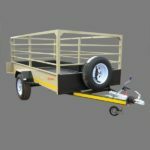 The cattle trailers come standard with a side gate, side ramp that can also be used at the back, combination gate at the back, a 60mm jockey wheel, removable grid on the floor, three beams in the length at the top as well as a divider gate in the middle and a 50mm thick wooden second deck on the sheep / cattle range. 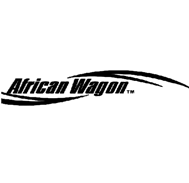 Error: Error validating access token: Session has expired on Friday, 12-Oct-18 05:47:44 PDT. The current time is Friday, 19-Apr-19 09:57:52 PDT.